The website has been especially set up to show the range of possibilities that exist in Carton design and new uses for Cartonboard. 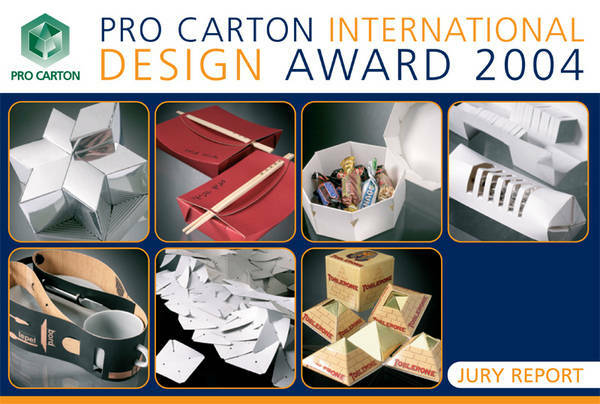 Pro Carton, the European Association of Carton and Cartonboard Manufacturers, has for several years offered opportunities to both students and professional designers to enter their ideas into national competitions. These competitions started in a small way several years ago in Belgium and Spain and in 2003/4, competitions were run in no less that eight countries. As these have developed and become larger, it was decided to bring together all the winners of these national competitions into a European event and this web site has been set up to show the entries and results. The presentations for the 2004 Awards took place until 5th October during the Pro Carton Folding Carton day at Macropac in Utrecht and in the following pages you will find not only the winners and those that were highly commended by the judges, but also all the entries that were brought forward from the individual national competitions.